Portsmouth administrators PKF say the year-long administration could cost the club about £3.5m. PKF's charges are currently £2.16m for 7,295 hours of work, while legal fees to lawyers Pinsent Masons total £1.25m. However, PKF may decide not to submit a claim for the full amount and the creditors' committee will have a say in how much is actually paid. Meanwhile, former owner Sacha Gaydamak has agreed a settlement figure of around £1.1m, according to the report. Gaydamak was assigned £2.2m of parachute payments from the Premier League to meet part of his debt, but a settlement for 50% of that figure has now been reached. Portsmouth have been in administration since 17 February 2012 and the latest report to creditors covers the period up until 2 January of this year. The report also reveals that the club's football creditors, including former players, are now owed £11.4m and they will have to be paid in full by the new owners. 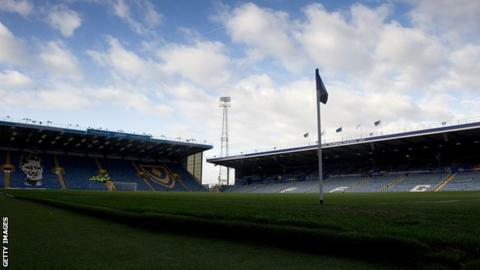 Portsmouth are currently the subject of a takeover bid by the Pompey Supporters' Trust, but approval is conditional on the group taking control of the club's Fratton Park stadium. Another former owner, Balram Chainrai, claims he is owed £12m and holds the stadium as security through his company Portpin via a fixed charge. PKF are attempting to force the sale of Fratton Park at the High Court and that case will be heard by 19 April at the latest. The Football League has warned the club must exit administration before the end of the season or face expulsion. In January PKF were granted a six-month extension to the administration, ahead of the 12-month deadline, but said at the time they did not expect to need this amount of time to complete the sale of the club.